By now, everyone is aware that OCR is here to stay. Some thought it to be a fad, if that’s true, I know of over 13,000 dedicated athletes in one single group who might argue the point. What I believe to be true is that the everyday athletes and fitness enthusiasts who have been drinking the Kool Aid and making it out to races around the world are what makes the sport, not the gifted few who reside on the podium at the key races. 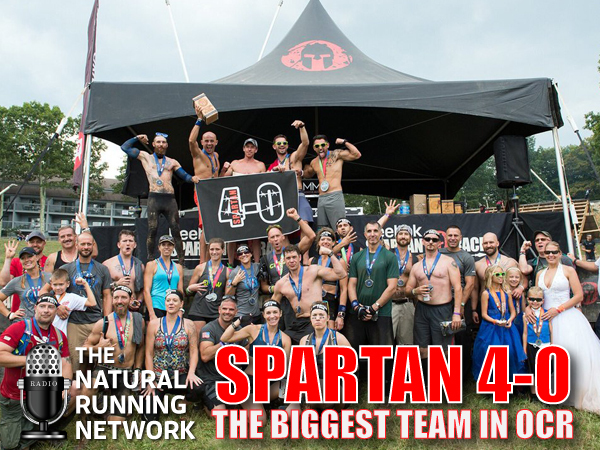 I asked Ameer Haroun, the director of all things Spartan 4dash0 on with me to share the story. How he and his cadre were able to build a social media group and racing presence of over 13,000 members strong in less than 3 years. If you love Spartan Races races and want to attach yourself to like minded people who share your enthusiasm, you need to hear this episode! ← OCR Racing Tips and Breaking News! just finished hearing your last podcast and I want in on that program!!!! I fit the demographic perfectly. 37, started running this year because I wanted to do a spartan and now im doing your half marathon program from your book to prepare for a beast in October. You will be starting this new program just after I finish and I reallly really really want in to kill next year!! please put me on your mailing list, short list, whatever list so that I get notified when you launch the program. I am super motivated!! I am in!! !